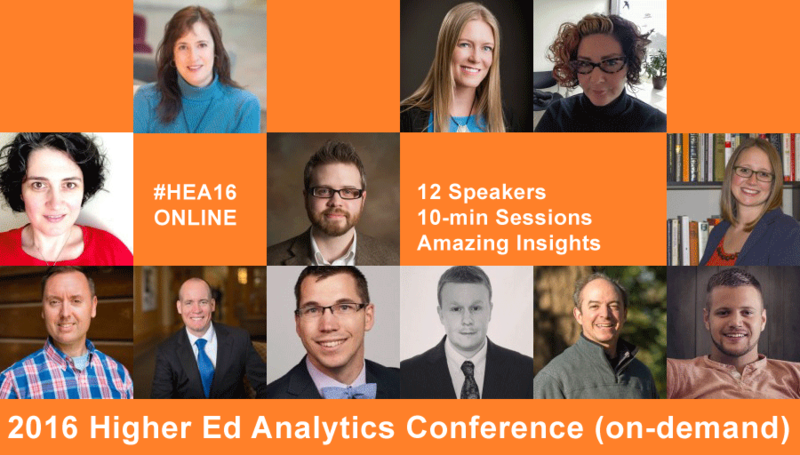 Avalee Harlton, Service Coordinator & Web Content Designer/Editor at York University and an alum of Higher Ed Experts certificate course on Web Analytics for Higher Ed, is one of the 12 higher ed professionals presenting at the 2016 Higher Ed Analytics Conference . 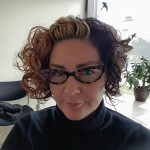 In this 3-question interview, Avalee tells us about a professional tells us about the biggest surprise of 2015, the main challenge using digital analytics and what colleges and universities should focus on in terms of analytics in 2016. Our university encourages everyone to use one single account to track most web pages on our domain, however, there are a few Faculties that have held out from moving over to the main account. When one of the Faculties that we expect to never make the move gets in touch to join the rest of the group, it’s so exciting! From the beginning we have tried to be transparent about the data we’ve collected by allowing anyone from campus to view the account. By being able to see the data, groups can see how they fit into the big picture, and what they’re missing out on by not joining in. Not only has it taught me that it’s important to continue to spreading the message about the value in tracking metrics across the entire website, but that in the long term, our transparency pays off. I think a lot of people have a mental block towards using analytics in their day-to-day operations — either that it’s too hard to learn, or that it takes too much time from their busy day. We’ve found that it helps a lot to break it down as simply as possible. This includes offering: training sessions on various topics (including how to use the time-saving options that GA has in-place); drop in sessions for people to come in-person to troubleshoot issues they’re having; a dedicated website with detailed how-to instructions; and being available by phone and email to answer questions. It sounds like a lot, but the more our community members use the product, the less intimidating / time consuming it becomes. Let’s put our websites on a diet by streamlining our pages and making them into a resource filled with the content our visitors actually want! 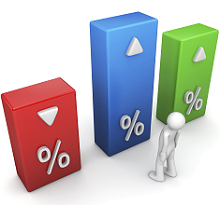 Analytics allows us to see what visitors are looking for when they come to our websites… and what they have no interest in whatsoever. Visitors benefit by being able to easily zero in on the content they’re looking for and we benefit by having our best, most useful pages display better in search results! We have the data, let’s put it to work for us.